Raise your hand if you’ve ever heard of an artwork video. If you’re reading this, at least one of your hands should be up. If your an artist, you may as well put them both up. For those following along who are still confused, an “artwork video” (at least for this discussion) is a video that has a static pic of album art with a song playing in the background. Most of us have seen this on YouTube. Search any of your favorite artists (especially the older one or really really new ones), and you’ll see something like this: The Beatles – I Am The Walrus. A static piece of album art with a song playing throughout. Is everybody on the same page now? Good. An interesting new platform made its way across my desktop and it seemed worthy of sharing. The product is called Editframe, and the (free) platform allows anyone to make videos like the ones described above in minutes. If you’re an artist, that sentence should get you psyched. In 2018, social media is by far the easiest and most cost-effective way of connecting with fans around the world, but it can be a real pain trying to create and/or upload a video with high production value to your platforms. Sure, you can tweet a link to your SoundCloud, but if you want to hit your fans on YouTube or Instagram, that just won’t do. With Editframe, there’s an easier way to share a full song or snippet without going through iMovie, Final Cut Pro or something else. 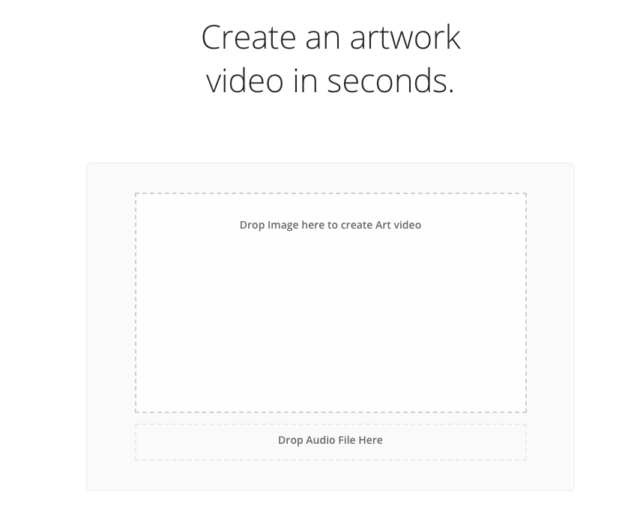 Unlike the other options listed above, Editframe does one thing and one thing only, artwork videos. It even sizes the video for the appropriate platform (Facebook, Instagram, YouTube, etc. ), so all you have to do is upload the mp3 or .wav and drag and drop your artwork. The things that make Editframe awesome aren’t its list of features, but rather, what it lacks. Unlike iMovie or Final Cut Pro, you can’t do crazy filming techniques. And sure, that’s not great if you’re a filmmaker, but if you’re a rapper just trying to put a snippet on IG to create some buzz for an upcoming single, you don’t need special effects, you just need content. Yes, you can do this on all video editing platforms, but it takes time. Editframe cuts out all the unnecessary steps and focuses on the essentials. Is Editframe going to make your career as an artist explode overnight? No. It will, however, save you tons of time over the long run so you can keep focusing on making music, and less time digging through iMovie trying to figure out how to adjust the aspect ratio of your video. Best of all, it doesn’t cost a penny, so if you’re looking to add some content to your YouTube channel or Instagram, give it a shot, it’s worth your time.